Our summer break started early this year since school ended June 2nd for my family. 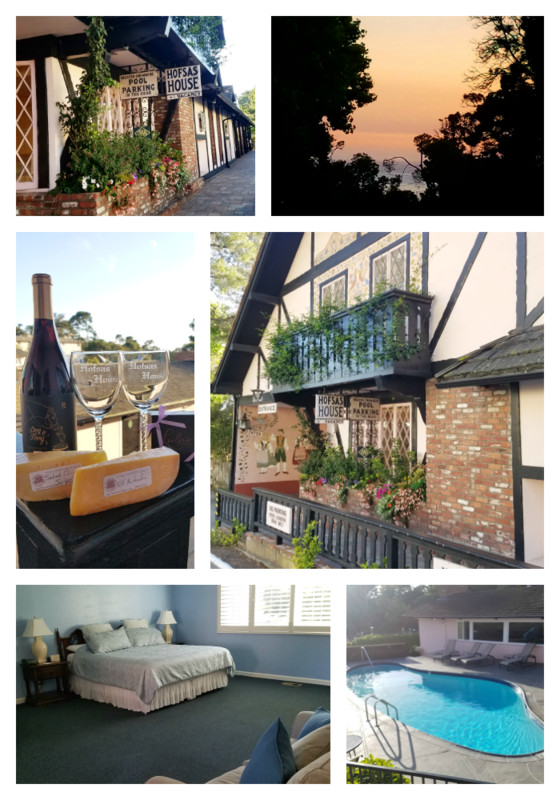 We decided to start our vacation road trip early, traveling North through Solvang to the Carmel By The Sea in a Mitsubishi Outlander. We visited the Hofsas House a couple of years ago in an anniversary getaway. 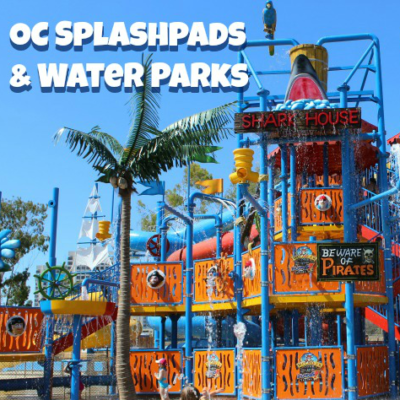 We were invited back for another visit this year, and thought it a perfect destination for a family getaway. 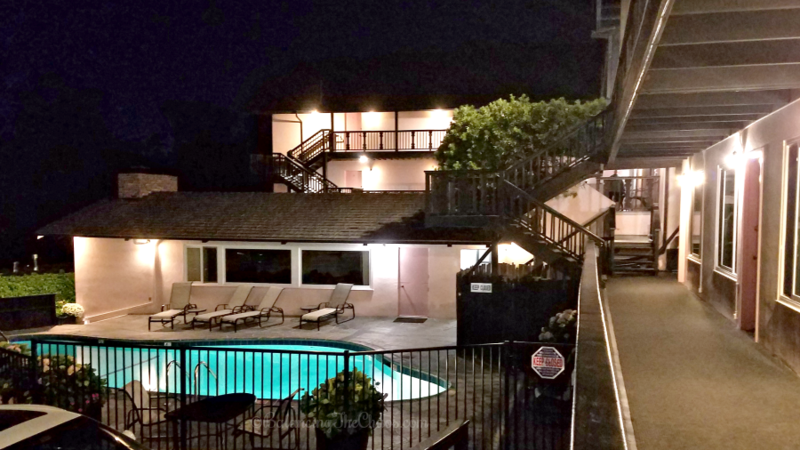 Owned and operated by the Theis family for six decades, the Hofsas House Hotel is located within walking distance from everything the town of Carmel has to offer: fine restaurants, shops, wine tasting rooms, parks, the beach and more. Hofsas House boasts 38 spacious rooms with their own individual sense of style. Amenities include fire places, wet bars, kitchens , balconies, patios, dry saunas and a heated pool. 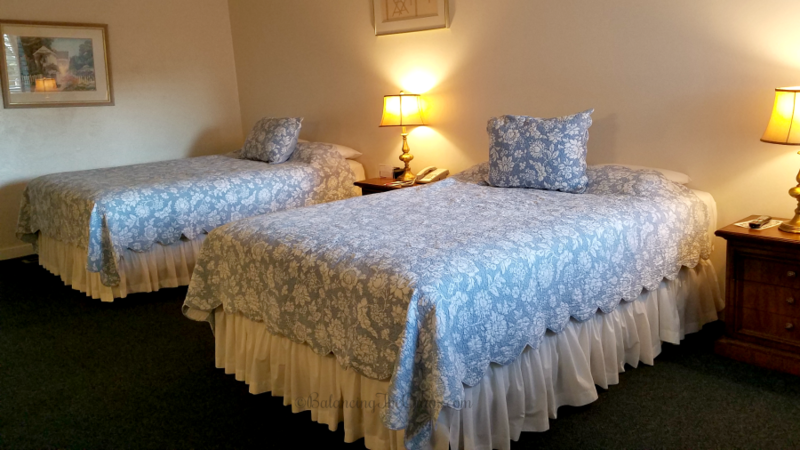 This year, since we were bringing our children, Carrie, the owner reserved us a two bedroom family suite. 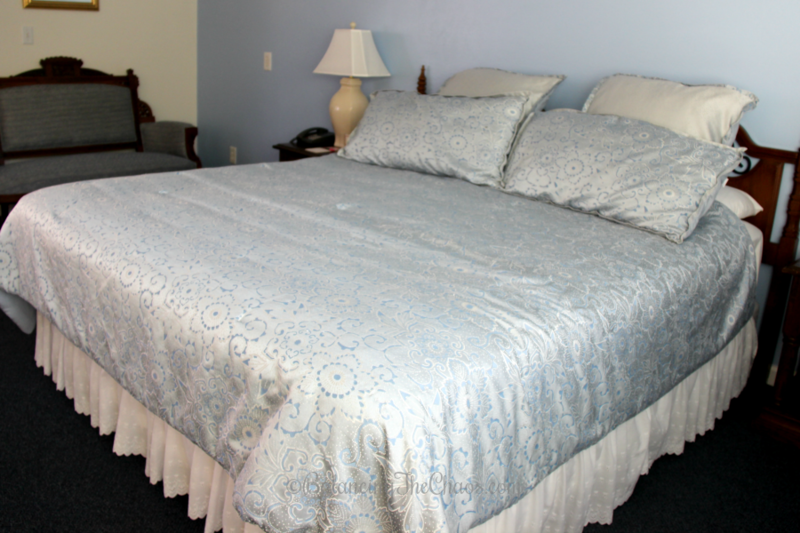 When we walked into the two bedroom suite, I was pleasantly surprised. Thank goodness I had a chance to walk in before the kids – as when they entered, the screamed (sorry neighbors). They were so excited, because the rooms were so nice. We had TONS of room as the bedrooms were immense. 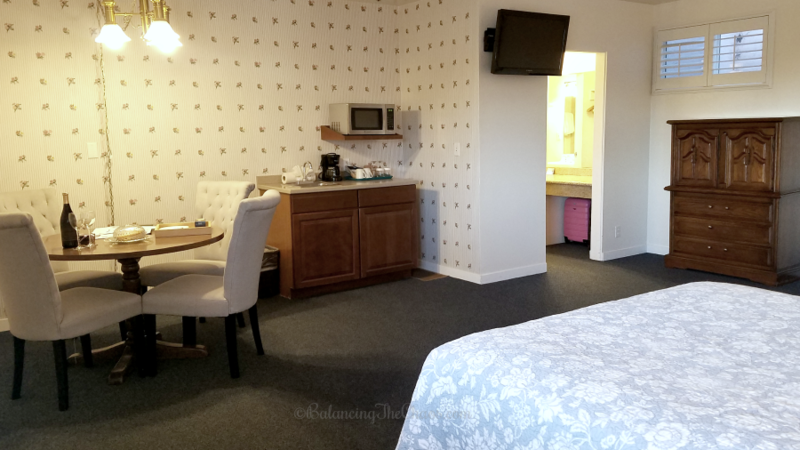 The second bedroom had two full sized beds, a table with chairs and a small kitchenette that included a microwave, sink and mini refrigerator. They also had their own bathroom with a tub/shower, toilet and sink area with a full closet. Additionally, daily continental breakfast and WiFi are included in your stay. A unique feature to the rooms are big beautiful windows (we kept open nightly) and Dutch doors you can leave partially opened to welcome the ocean air. Bringing your four-legged furry family member? Not a problem as the Hofsas House offers pet friendly rooms too with a cute little welcome bowl and treats for your pup. After we settled in, we took the kids on a stroll around the town. 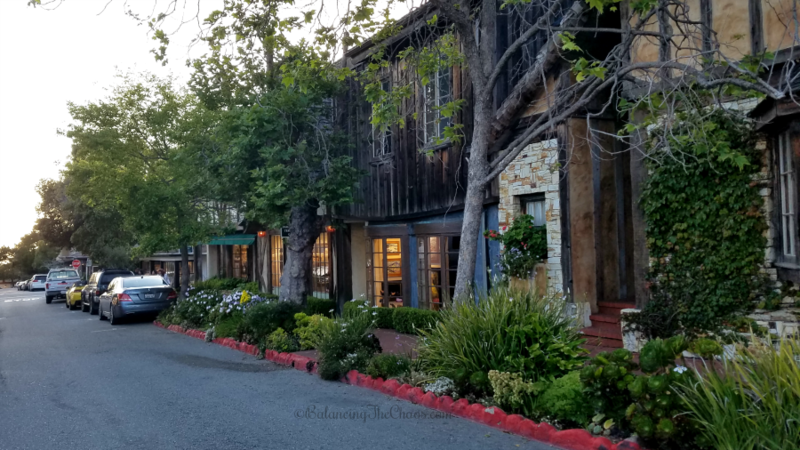 Carmel By the Sea is an absolutely beautiful little town. 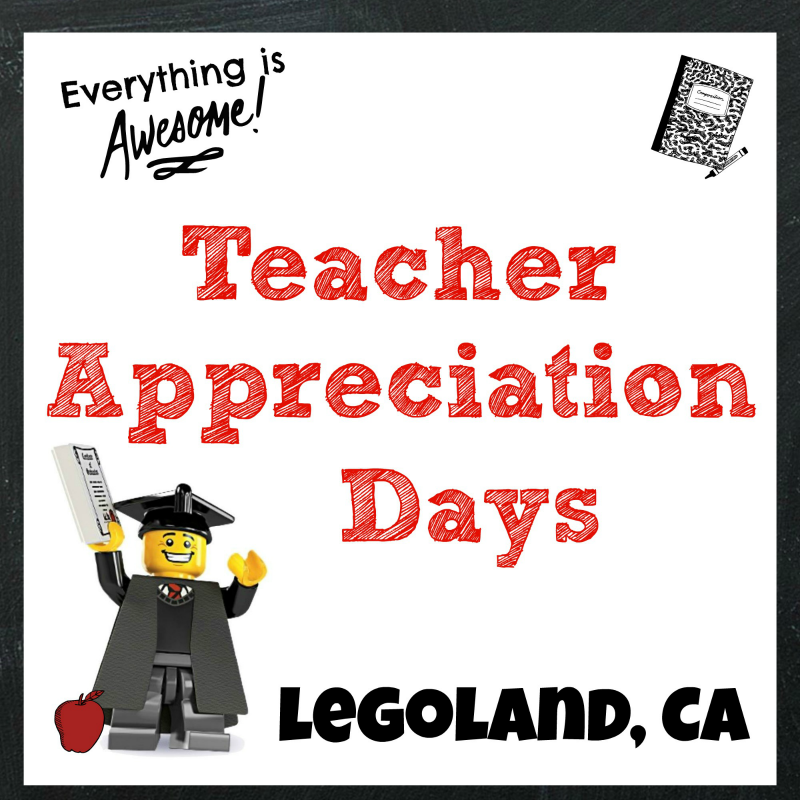 If you are planning on visiting, I’d recommend arriving around lunch time. This gives you time to stroll through the shops, and stop for a little wine tasting along the way. There are a few family friendly winery’s that have activities for the kids while you’re sampling. Check in with the front desk at Hofsas House Hotel and they’ll recommend a few. While you’re there, I’d recommend checking out Groupon. My husband’s favorite app, he found Groupon deals at a few local restaurants and salons while we were in Carmel By The Sea and Monterey area. The next day, for lunch we settled on a quick lunch on our way to the Monterey Bay Aquarium. We stopped by 5th Ave Deli, a deli and Catering with customs sandwiches, salads, twice baked potatoes and my favorite, breakfast burritos. Monterey Wine and Cheese Pairing. Great as a welcome package. Unwind from the drive and sample a bottle of local wine and cheese while you unpack. Champagne & Cheese Pairing with Hofsas House engraved flutes. A great souvenir to remember your stay. Beach Fire & S’mores Bundle with a blanket and flashlight to walk down to the beach. In room his and her couples massage. Arrive with your room decorated to celebrate your special occasion. Beach Fire with flowers, S’mores, blanket, flashlight and a message in the sand. Set up a round of golf with cart at one of the six local courses. Set up a day or two at the Monterey Bay Aquarium. 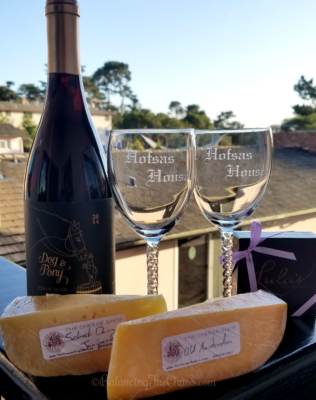 Purchase through the Hofsas House Hotel and get two days for the price of one. 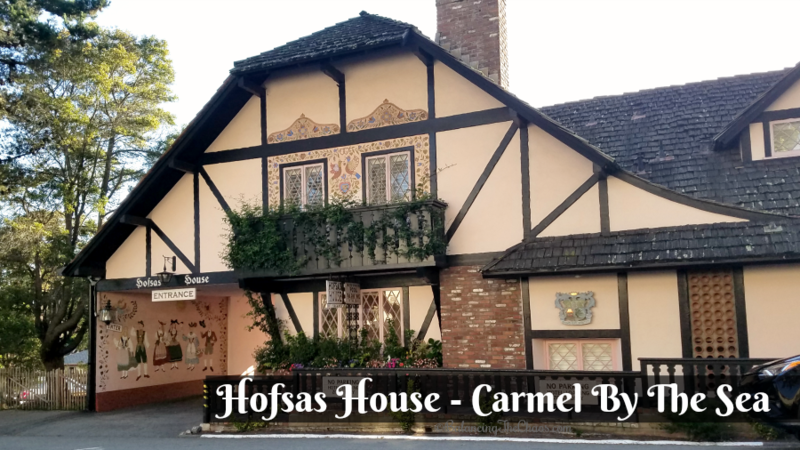 We had a fantastic time while at Hofsas House House in Carmel by the Sea and would recommend it for anyone looking to slow down and relax in a quiet beachy town. That sounds amazing to say the least!! It’s really a beautiful place to visit, and you must meet Carrie, the owner. She’s super sweet and will direct you to the best places to go.